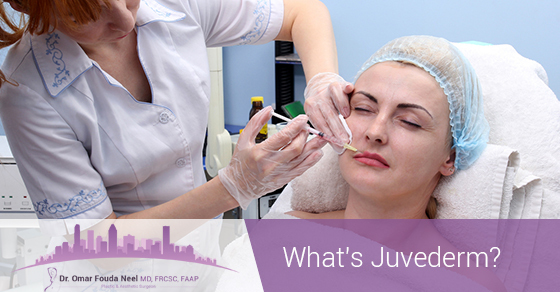 Juvederm is a filler that’s mostly used for the creases along the nasolabial fold, the lips, and to fill hollows in the face caused by aging or scarring. The ideal application is for people who want to look youthful in a natural way and would like to avoid permanent changes as in a facelift. In a 5% aqueous solution, the pH value is 5-8.5, which is not very strong as far as solvents go. For example, gastric acid which is used in your stomach to break down food is made from hydrochloric acid which has a pH value to 1.5-3, which is far more acidic than hyaluronic acid. Hyaluronic acid is gradually absorbed into the body, so 6 months or so after the injection, the effects will have worn off. In addition, there are people whose faces have pronounced folds to begin with. For faces that are thin, nasolabial folds can make people appear sallow, but with heavier people, these folds can emphasize the width of their face. Juvederm removes lines from the face so you can appear younger, rested and refreshed. In addition, Juvederm can be injected into the lips for a fuller, plumper profile, which will help lips that have deflated as a result of fat breaking down as you age. The reason that Juvederm is one of the most popular fillers used in Canada is that it fills up the hollows and dips on the face in a way that looks and feels natural. It’s also been clinically tested to be safe for use. For more information, talk to one of our specialists today.